718 Fifth Avenue | Paramount Group Inc. 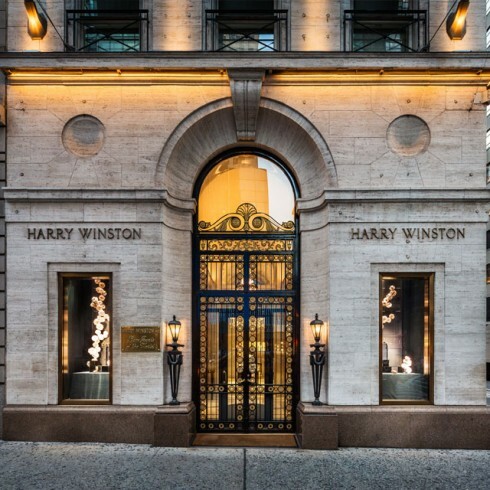 Built in the 1870’s by Charles Duggin, this 5-story townhouse is home to the exclusive Harry Winston flagship jewelry boutique. The building, located on the southeast corner of Fifth Avenue and 56th Street, has undergone several façade renovations, including a late Art Deco sculptured limestone and glass façade completed in 1937 and an 18th-century French-style façade with travertine and picture windows by architect Jacques Régnault in 1960. Today, the building offers a unique and elegant retail presence on Fifth Avenue, ideally located among Fifth Avenue’s most prestigious retailers.